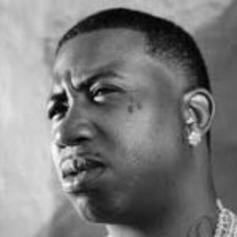 Gucci Mane releases another track titled "My Customer" featuring Yung Fresh and Jose Guapo. Guwop releases this new C4-produced track titled "Stripes", featuring Rome Fortune & Yung Fresh. Peep Gucci Mane Feat. 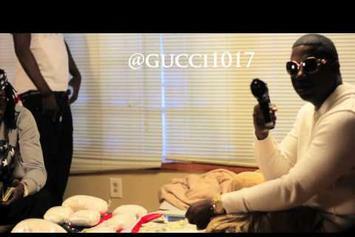 Young Scooter & Yung Fresh "Shooters" Video, the latest visual from Gucci Mane. It dropped on Wednesday, February 20th, 2013. Gucci Mane's future brightens with every new release, and Gucci Mane Feat. Young Scooter & Yung Fresh "Shooters" Video certainly isn't an exception. 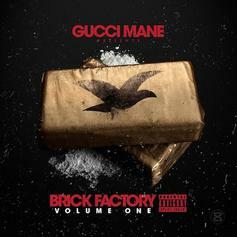 It's a fitting addition to a solid catalogue that Gucci Mane has been developing since stepping foot in the game. We're excited to hear more. Gucci Mane just dropped "Trap God 2", but is already planning another sequel with his upcoming "Trap Back 2" mixtape. He drops off the first release from the project today, which features Chief Keef & Yung Fresh. Peep Gucci Mane Feat. Young Scooter & Yung Fresh "BTS Of "Shooter"" Video, the latest visual from Gucci Mane. It dropped on Monday, January 7th, 2013. Gucci Mane's future brightens with every new release, and Gucci Mane Feat. Young Scooter & Yung Fresh "BTS Of "Shooter"" Video certainly isn't an exception. It's a fitting addition to a solid catalogue that Gucci Mane has been developing since stepping foot in the game. We're excited to hear more. Give Flex a listen - it's a new offering from Yung Fresh, featuring Tracy T & Yung L.A.. It was dropped on Monday, February 15th, 2010.